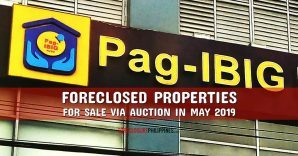 From the time I created ForeclosurePhilippines.com, I have been trying to find the best way to consolidate listings of several banks/lending institutions in one place. As a real estate investor and broker, I have been dreaming of the day when all foreclosed properties are in one huge list where I can easily find what I want by location, property type, price, etc., with no need to go through several listings (which is really tedious and wastes a lot of time). I have been dreaming of this for the past four years… until now! The dream is now a reality… thanks to our foreclosed properties database! Imagine all foreclosed properties in one place, where you can easily search across listings of several banks and lending institutions in one “mega” listing of foreclosed properties. 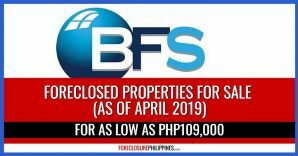 Find exactly what you are looking for based on location (City/Municipality), selling price, type of property (Agricultural Lot, House And Lot, Residential Condominium, Towhhouse, Residential Lot, Commercial Lot, Parking Slot, Warehouse, etc. ), and exclude what does not fit your needs. Finding foreclosed properties, just got easier… and the key is our advanced foreclosed properties search. Keyword(s) – You simply enter the keyword you are looking for and you will only find properties that include those keyword(s). For example, if you are looking for properties in Maia Alta Subdivision in Antipolo, simply type “Maia Alta” (without the quotes). Leave blank to include any. Location – They say location is the most important thing to consider when buying a foreclosed property and I totally agree, which is why we gave the highest importance to location and categorized all properties by City/Municipality. 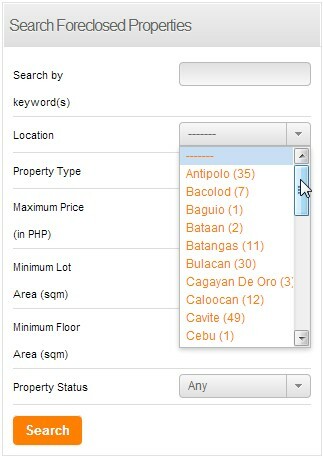 To search for properties within a location, just choose the appropriate City/Municipality in the drop-down list. 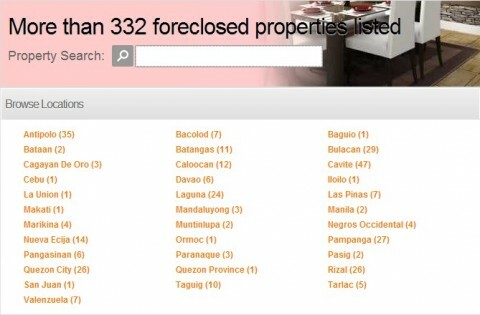 Leave it to default if you want to see properties from all over the Philippines. Maximum Price (Php)- Just enter the maximum price in this field and the search results will only include properties with selling prices that are equal to or below what you put here. Leave blank to include all properties, regardless of price. Minimum Lot Area (sqm) – Just enter the minimum Lot Area you need in this field and the search results will only include properties with Lot Areas that are equal to or above what you put here. Leave blank to include all properties. Minimum Floor Area (sqm) – Just enter the minimum Floor Area in this field and the search results will only include properties with Floor Areas that are equal to or above what you put here. Leave blank to include all properties. 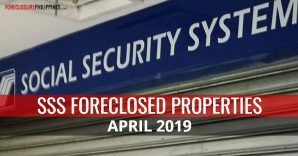 Property Status – With foreclosed properties, there are some that are occupied (by illegal occupants), while most are already under the bank’s possession. During the recent auctions I have attended, I noticed that there are buyers who buy properties even if they are occupied, which is why I cannot exclude occupied properties from listings. However, if you are one of those who would rather stay away from occupied properties, you can easily exclude them by choosing “Unoccupied” on the drop-down list. The default includes Any properties which will show both Occupied and Unoccupied properties in search results. One last thing… Don’t forget to click on the orange search button to execute your foreclosed property search! 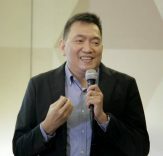 So let’s say you are looking for an agricultural lot which is at least one hectare (10,000sqm) in lot area, from Antipolo, can you actually find one? 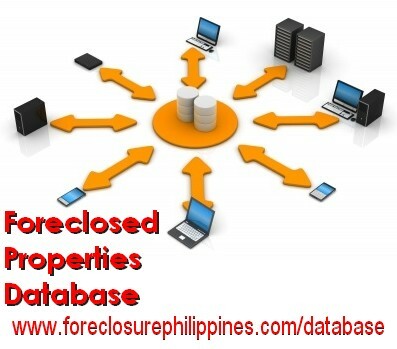 After you click on the search button, you will see a listing of foreclosed properties with a summary of the property details, which includes a thumbnail picture of the property (if available), location, property description, selling price, lot area (if applicable), floor area (if applicable), and property code. When you click on a listing, you will see the individual listing page where you will find more details like a bigger picture(s) (click on a picture to enlarge), vicinity map, lot plan, listing type (public auction, sealed bidding, or negotiated sale), Occupancy status of the property (if it’s occupied or not). 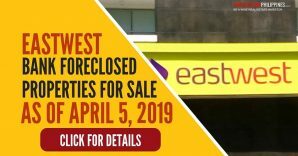 These details can be seen as long as the bank/lending institution/seller provides us with them, so please bear in mind that some foreclosed properties might NOT have all the info I have mentioned. For most listings that include a vicinity map, a google map will also be made available where you can see the nearest landmark, cool right?! 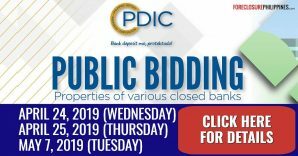 By the way, we can only rely on the details provided to us by the banks/lending institutions/sellers, and as always, our site disclaimer applies. 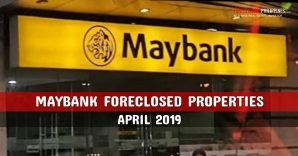 As I write this, I have already added 332 foreclosed properties from 34 locations (these are from 2 banks) and a lot more will be added regularly. I also have to finish uploading pictures for the properties in the listings of one bank (I have just completed uploading for the other bank). 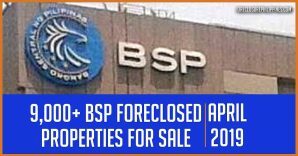 As mentioned above, we will regularly add more listings from various banks, lending institutions, and other entities, in our foreclosed properties database. 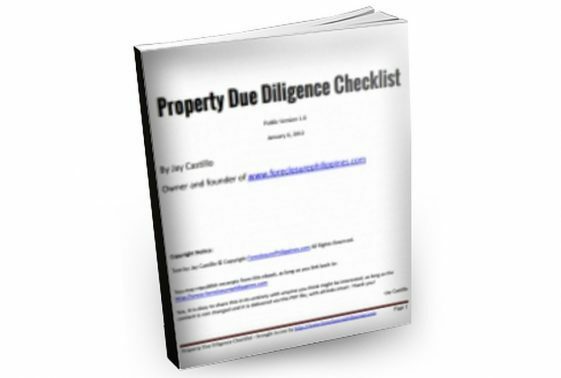 This means you can expect the listing to grow and include thousands of foreclosed properties quickly. We will keep subscribers informed when we add new listings, so don’t forget to subscribe to email alerts. Of course, we will continue to improve many aspects of the database, this is called continuous improvement. More truly beneficial features will be enabled as soon as they are fully tested and verified to be ready for live use, we will also continue to improve the “look and feel”, and also add more functionality like sorting of search results, etc. This is quite manageable because I developed the database myself, for our own use. I’m also glad that my database administration/programming skills from my past life as an IT Practitioner have been quite useful. 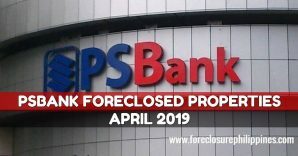 Anyway, please check out our foreclosed properties database and I would appreciate your feedback, comments, and/or suggestions. Thanks!